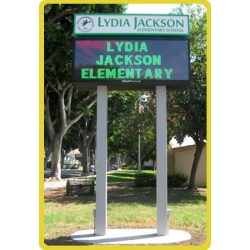 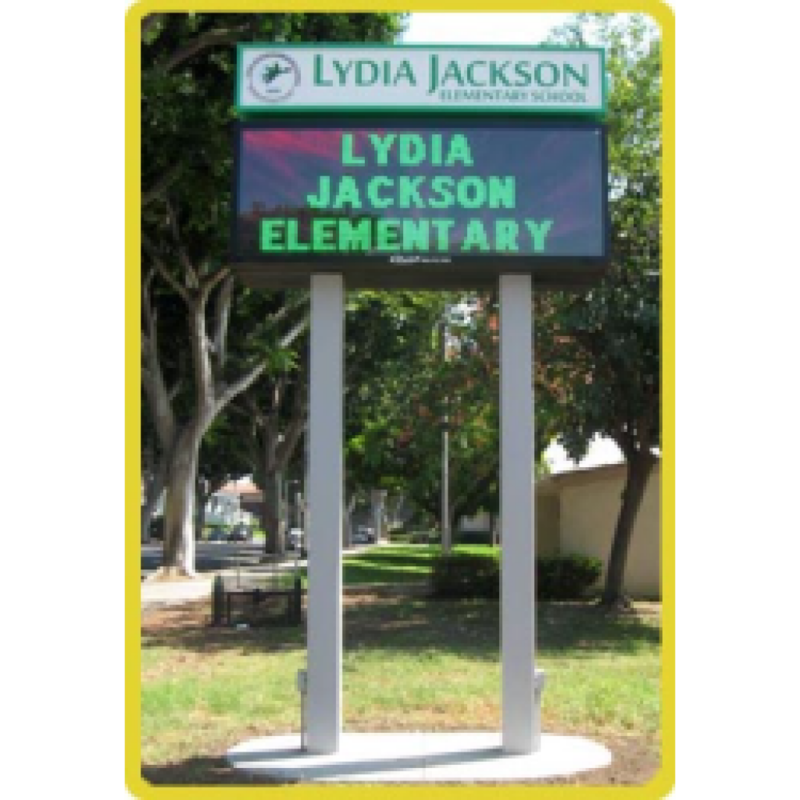 Our DSA (Division of the State Architect) approved signs will save you time and frustration on your next school sign. 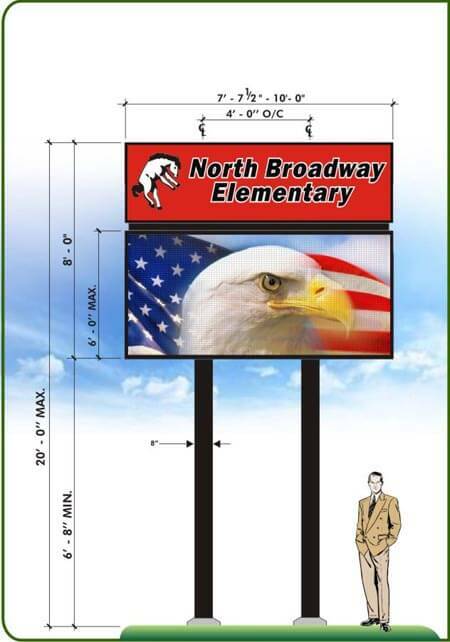 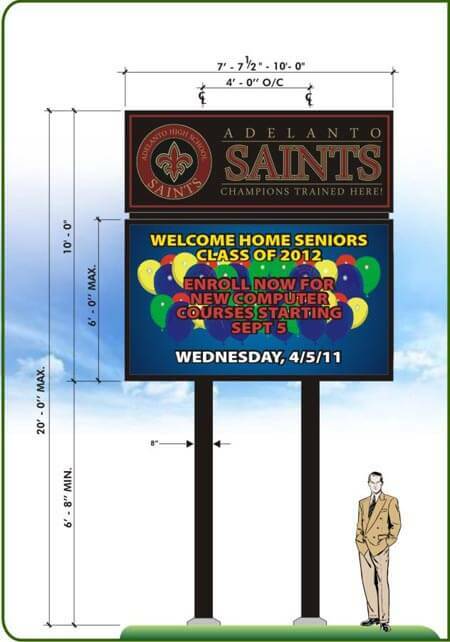 These pre-approved school sign designs make the permit process fast and easy. 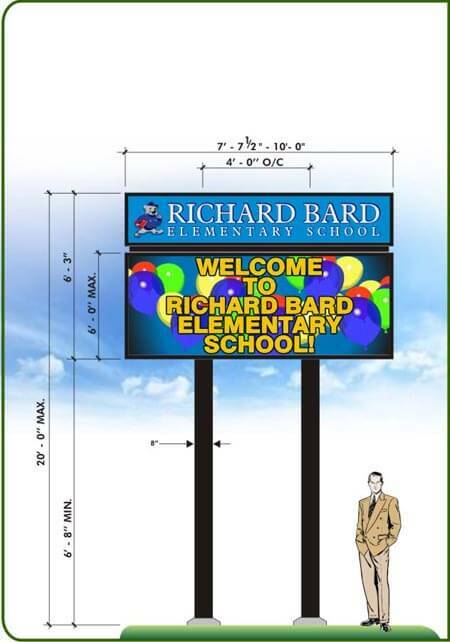 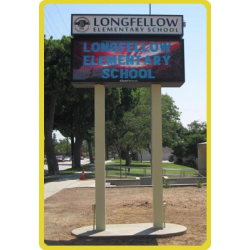 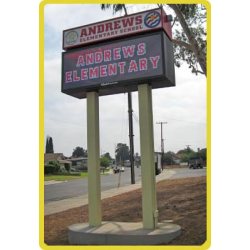 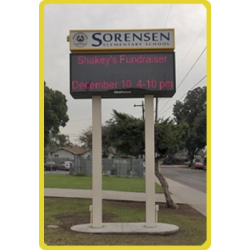 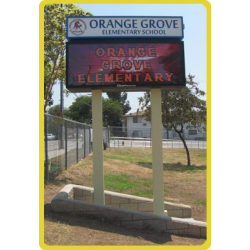 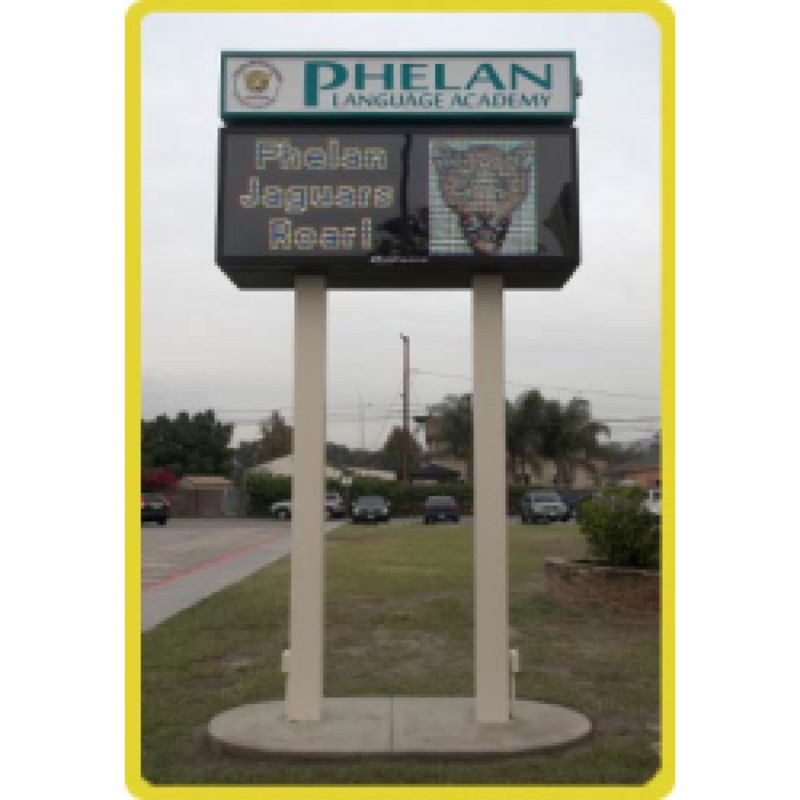 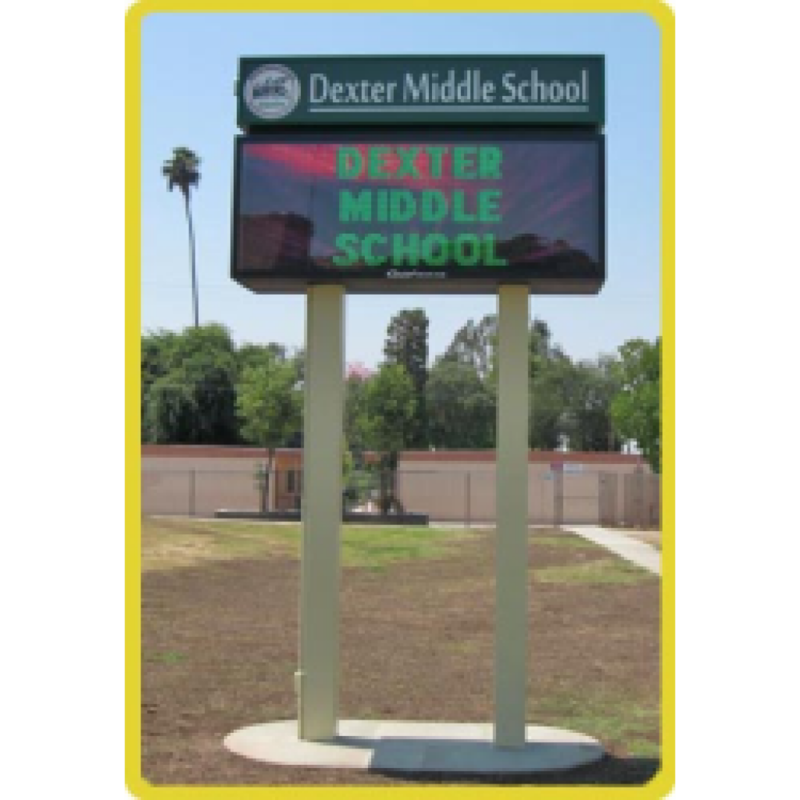 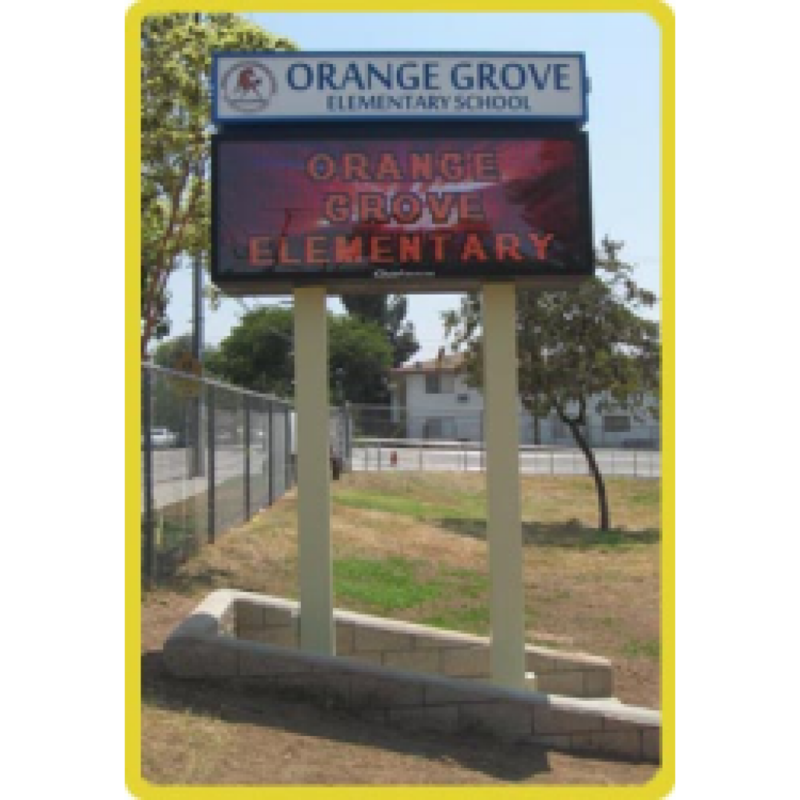 Trust our years of experience building school signs on your next project. 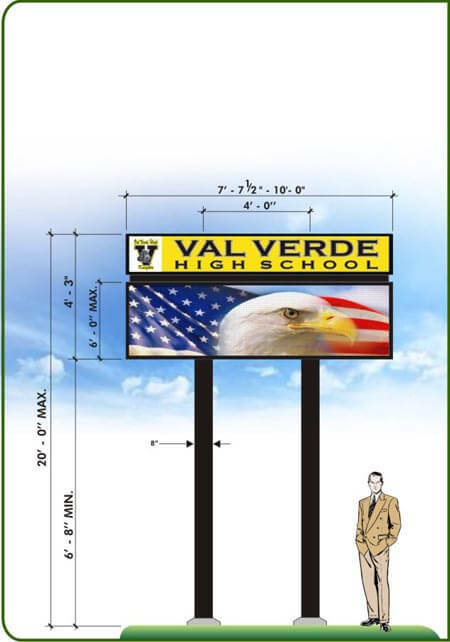  Click the sizes on the left to see some of the approved size options. Thank you so much for the beautiful marquee sign. Our parents, students, and staff love seeing the written information and the amazing graphics that are displayed on the front of our administrative building.